OKAY Industries Surefeed 30RD AR15 Magazine - BLK PTFE. This Okay Industries Surefeed magazine is designed for use with 5.56 mm/ .223 caliber ammunition and will fit/function in AR-15 style firearms that meet military specifications. 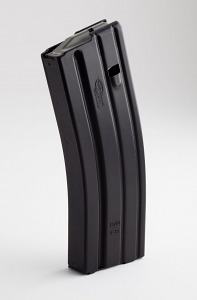 I ordered ten of these magazines for they are the best ones on the market in my opinion. I ordered them one afternoon and they was shipped the next morning. Top Gun Supply is a top notch company to do business with, don’t hesitate in ordering your supplies from them.